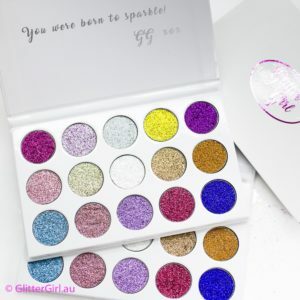 Well, Here at Glitter Girl HQ we all agree that there’s nothing quite like a fabulous big celebration of love, acceptance and equality like the Sydney Gay & Lesbian Mardi Gras. Iconically celebrating diversity & acceptance for the LBGTQI community and linking it with the rest of the worlds view on its community, The Gay & Lesbian Mardi Gras has been the voice of this strong and diverse group of our nation and the world since 1978 when as a protest was met with police hostility. 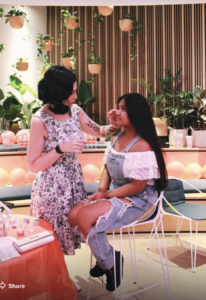 In 2018 the theme was “40 years of evolution” celebrating those brave people that started this movement and the people that have kept it alive since. 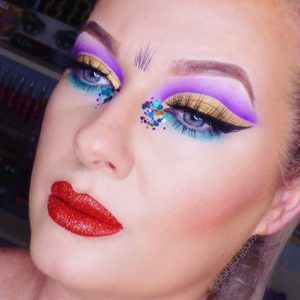 Broadcast on SBS, it was fabulous to watch and Glitter Girl had some of the most fabulous ambassadors there representing Glitter Girl and the amazing glitter community. 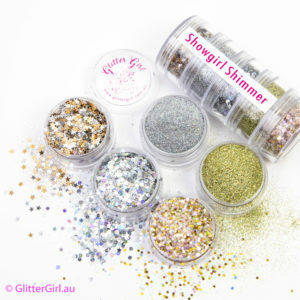 As diverse as the Mardi Gras is, so is Glitter Girl. 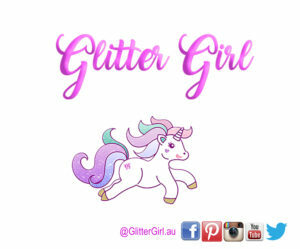 Telling her Tribe anyone can bring out their inner Glitter Girl with our range of Glittery goodness given to us by our mystical unicorns. And let us tell you. 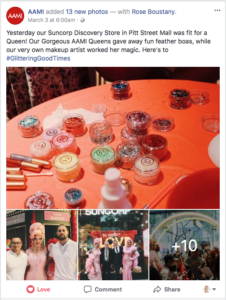 Our Unicorns pooped with excitement when they saw the support and looks the all our Glitter Girl Tribe turned out for the event! 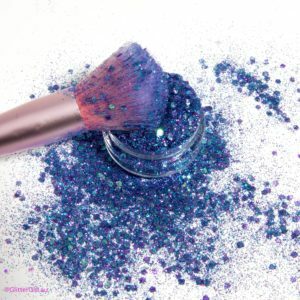 (The unicorn poop was harvested and we assure you it never goes to waste! stay tuned.). 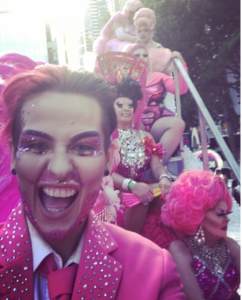 Our wonderful ambassadors took this fabulous occasion to show their support and pride in what has become an institution within Australia and now the world. 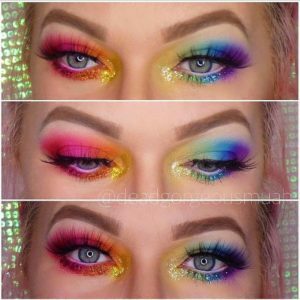 Some creating gorgeous glitter looks incorporating the rainbow flag that represents all the people who are under the LBGTQI flag and some using our Glitter Girl Mardi Gras Loose Glitter to create their looks. 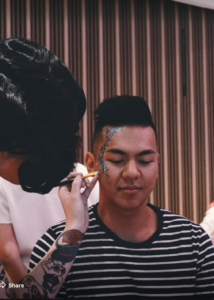 Some also working with major companies that support this event like AAMI Insurance for Broken Heel Festival giving their customers Mardi Gras worthy Glitter makeovers to get them in the festival mood. 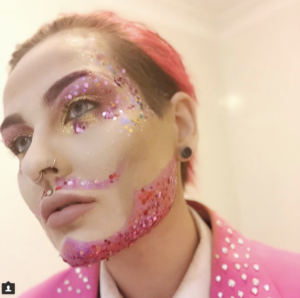 Others marched proudly with Glitter Girl well represented in their beards,on their bodies and in their hair! 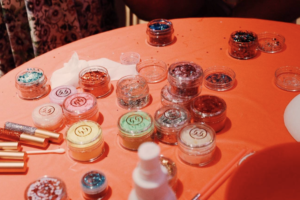 We want to celebrate these wonderful people that support Glitter Girl and the fabulous community we support. 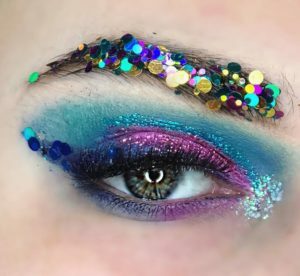 From everyone here at Glitter Girl HQ and from all of our mystical Unicorns we hope you feel proud and inspired by all our ambassadors Mardi Gras looks. 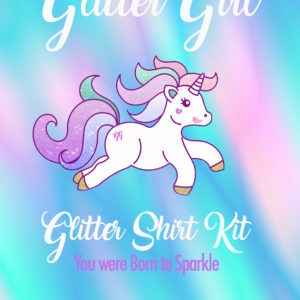 We are all responsible to inspire and accept the next generation of strong, powerful and compassionate humans, and we are so proud of our Glitter Tribe! Please follow the links and show all our supporters the love! 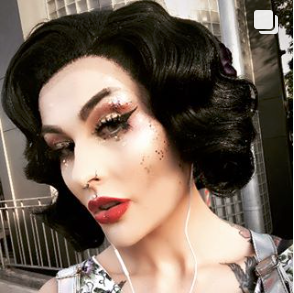 The Gender Bender Archie Arsenic in all her pink glitter amazingness!